Painless dental surgery and oral surgical technology to achieve your best smile. Newport Beach Oral Surgery – Dr. Tom Michaelis is a Dental Surgery Specialist in Newport Beach who is one of the top reviewed and highest rated oral surgeons in Orange County. Newport Oral Surgery serves Newport Beach and surrounding areas in Orange County. 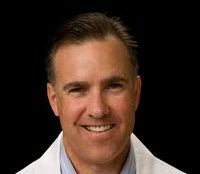 Dr Tom Michaelis is a professional family oral surgeon serving southern California, and he is a board certified oral and maxillofacial surgeon and a premier dental implant specialist. Patients should be assured that for almost any dentistry issue, there are many other patients with the same problem or question. Dr. Tom Michaelis is committed to educating his dental patients on the procedures he performs and also the necessity to research your physician prior to allowing them to work on you. More importantly, Dr. Michaelis explains dental surgery and the reasoning behind all the important factors and he has prepared videos that explain procedures, patient expectations, and real dental surgery testimonials from other patients. Doctor Michaelis is one of the highest reviewed oral and dental surgeons in all of Southern California. Besides, being an elite Newport Beach Doctor, he is also among the top in its class among specialized procedures for dentistry patients. He invites both current patients, new patients, and those in between to actively research oral surgeons prior to making a sometimes life changing decision. Dr Michaelis believes that when considering any kind of procedure that involves surgery to really know if your practitioner is qualified. Dr Michaelis leads the medical field in cutting edge technology and procedures in dentistry implants, in addition to many areas of dental surgery that require expert specialized attention. Dental Implants are improving the lives of our patients every day. Dr. Tom Michaelis handles a vast selection of issues associating with the mouth, teeth, and also face areas. Dr. Michaelis exercises a complete extent of dental as well as maxillofacial surgical procedure with experience ranging from dental implant surgical treatment as well as extensive and proven knowledge of tooth removal (extraction) to restorative mouth surgery, and TMJ surgical procedures. This of course includes techniques developed to rebuild bone structure with marginal surgical treatment and optimal individual comfort convenience. Dr. Michaelis additionally will identify and also treat face pain, facial injuries, and also cracks. Newport Oral Surgery has been a mainstay in the Newport Beach, CA area for generations and we welcome our patients to become a part of this tradition. 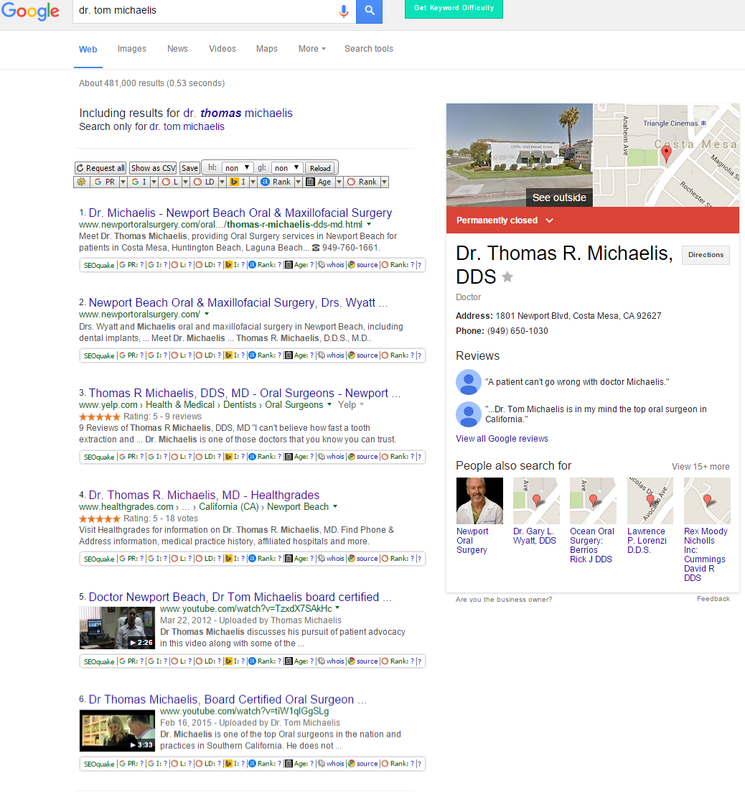 Google Snapshot Search for Dr. Tom Michaelis – Dr. Tom Michaelis Five Star Reviews, No Matter what authority website you look at. This is the best doctor in Newport Beach for oral surgery. really one thing which I believe I would by no means understand if it wasn’t for such a clear presentation you have put together. Thanks!